Starting along the coast, the so called "The Hill of the Gangs", is a difficult 11km climb. 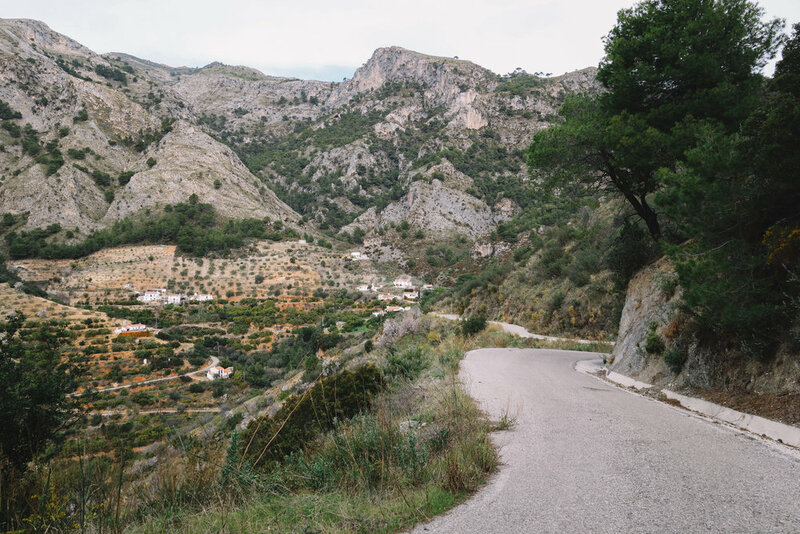 Sitting midway between Nerja and Almuñécar, this climb winds up the side of the Sierra de Tejeda. With multiple ramps of over 20%, remember to start off at a steady pace. With these gruelingly steep pitches,come some welcome sections of recovery. The last kilometer of the climb to El Rescate flattens out for an easy conclusion. 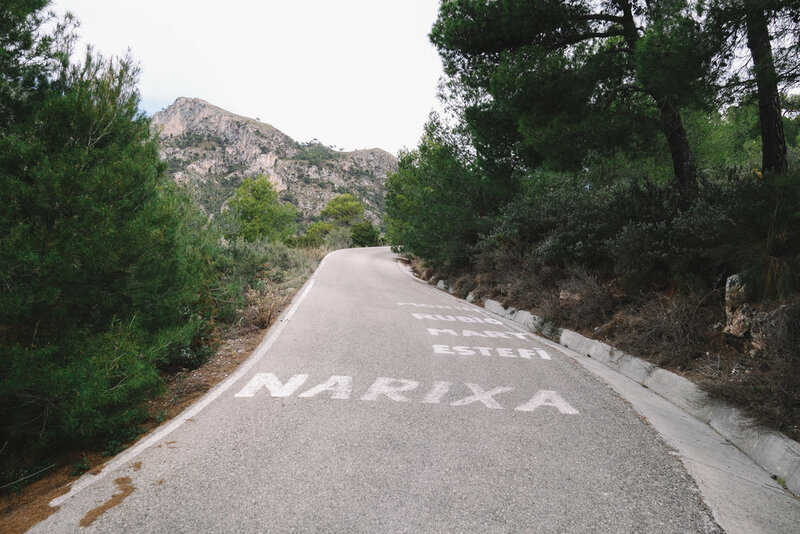 There are no notable places to stop along this climb for food, so fill up your bidons before you start climbing. 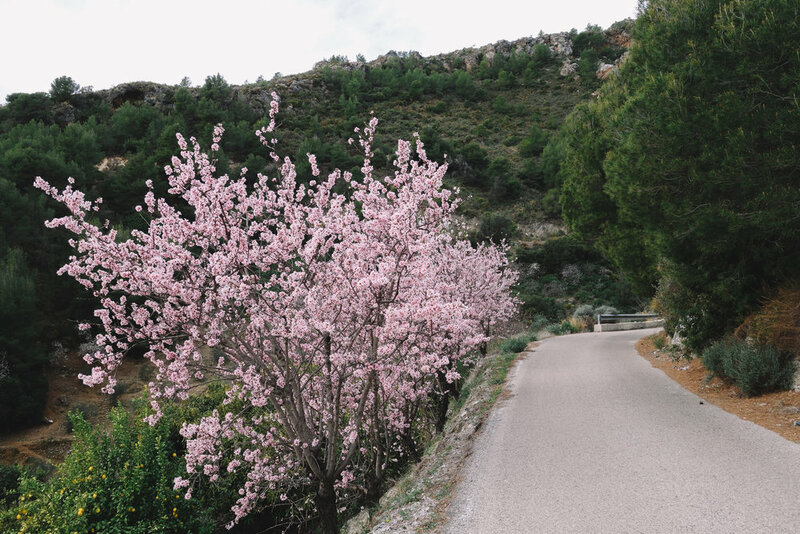 The landscape and scenery on this climb is varied and beautiful, with views back onto the Alboran Sea complimented by pink almond blossoms during spring. 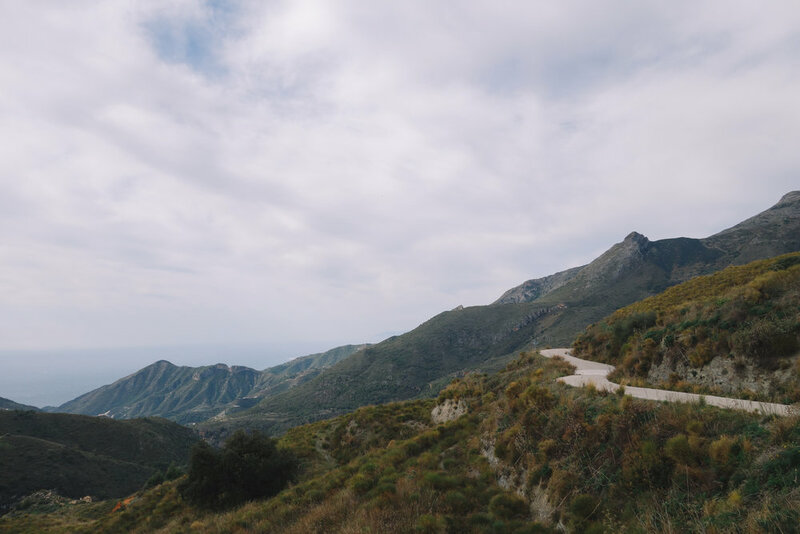 As you climb, the landscape becomes steadily greener, creating a memorable contrast with some of the bare rockfaces of the mountains further west towards Malaga. Perhaps one of the most interesting things about this climb is indeed its name; "The Hill of the Gangs". This comes from the interesting history of these hills behind Nerja, which were a flashpoint of violence during and after the Spanish Civil War, with a guerilla warfare undertaken by gangs of Republicans raging on well into the 1950s. These hills were a base from which these republicans continued their fight against the Franco Regime. Frigilianna, just west of the top of "The Hill of the Gangs", became a kind of 'outlaw' village, with many of the villagers claimed kinship with the WW2 French Resistance, fighting a guerrilla war for years.